There’s nothing better than looking out your window and seeing a yard full of beautiful blooming flowers or eating a fresh salad from your very own garden. In honor of National Garden Month, continue reading to get your yard blooming with four of our garden favorites and gardening tips for others! It’s the perfect way to prepare and enjoy the outdoors! 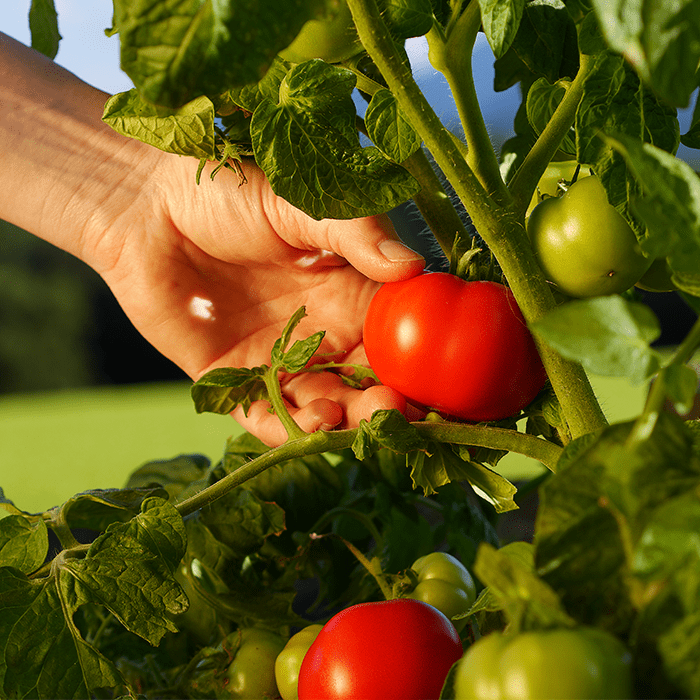 Grown in 85% of home gardens, tomatoes are by far the most popular vegetable to grow at home. 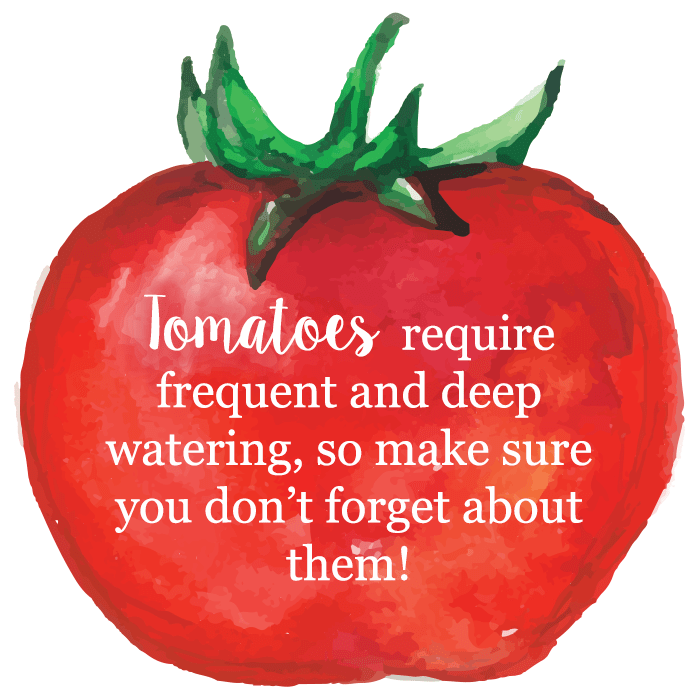 The list of different types of tomatoes is extensive and includes beefsteak, heirlooms, organic cherry and paste (just to name a few). For best germination results, tomato seeds should be started indoors six to eight weeks before the last frost date for your location. Plant them in a quarter of an inch deep using sterile soil to prevent disease and other similar problems. Tomato seeds will sprout best if the soil is kept between 80 and 90 degrees. Water lightly and keep the soil consistently moist until germination occurs. Make sure it’s well after the final spring frost before transplanting them outdoors. Snip off the bottom leaves of the plants and set holes about six inches deeper than where they sat in their pots. Transplant tomato plants 32” apart with 32” between rows. The more space the better. Plant in a location with full sun and provide fertilizer when needed. When ripe, a tomato will pull easily from the vine. Grab firmly but gently and twist to remove the fruit (yep, tomatoes are fruit). Be careful not to break the main stems when harvesting. If a frost is in the forecast, remove all fruit, ripe or not, and store inside to ripen. Onions can actually be tricky to grow. The most important thing to know about onions is that they fit into two different categories: long-day onions and short-day onions. 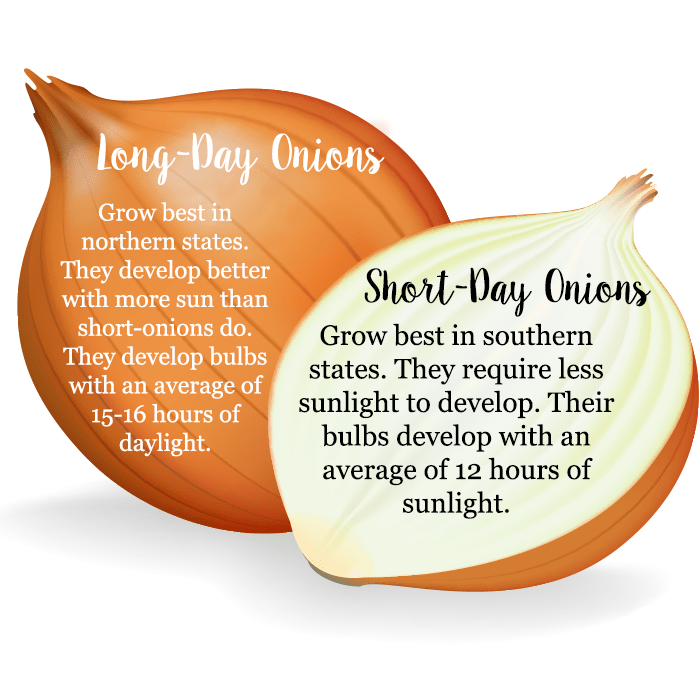 Choosing the right type of onion for your location will ensure proper maturation. Onion seeds can be started indoors and outdoors. For best results, start your seedlings indoors. When ready to transplant, place onions 3 to 4 inches apart, in rows that are 15 inches apart. Plant them about 1 ½ inches deep. This plant grows best in rich, soft soil, but can grow well in most soils (especially with fertilizer). Keep the soil moist and allow good drainage. Onions develop in two stages. First, the tops of the plants will fill out, and then the plant uses the energy from the leaves to mature the bulb. 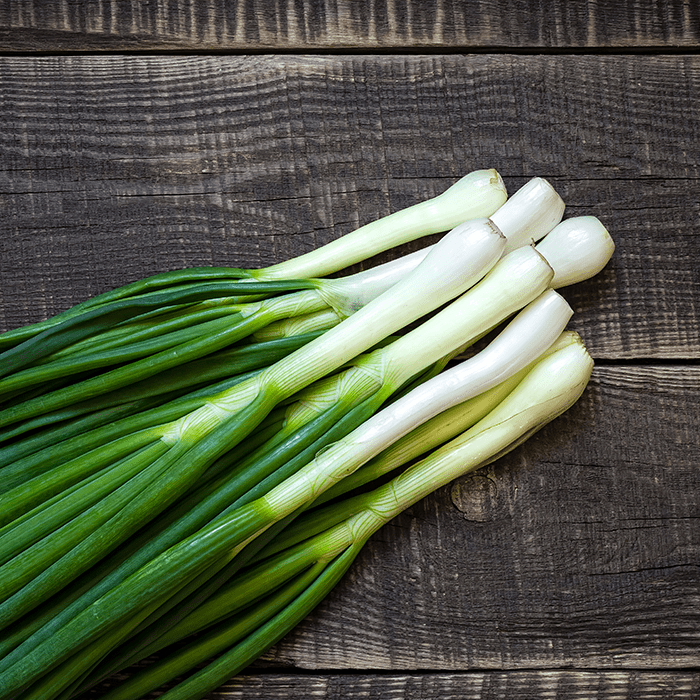 Green onions can be pulled and eaten at almost any stage. Larger onions are ready for harvest when the tops bend over and the plant begins to look less vibrant. Strawberries are delicious and usually a family favorite. There are two main types of strawberries: June-bearing and ever-bearing. June-bearing produces one large crop of berries in early summer. 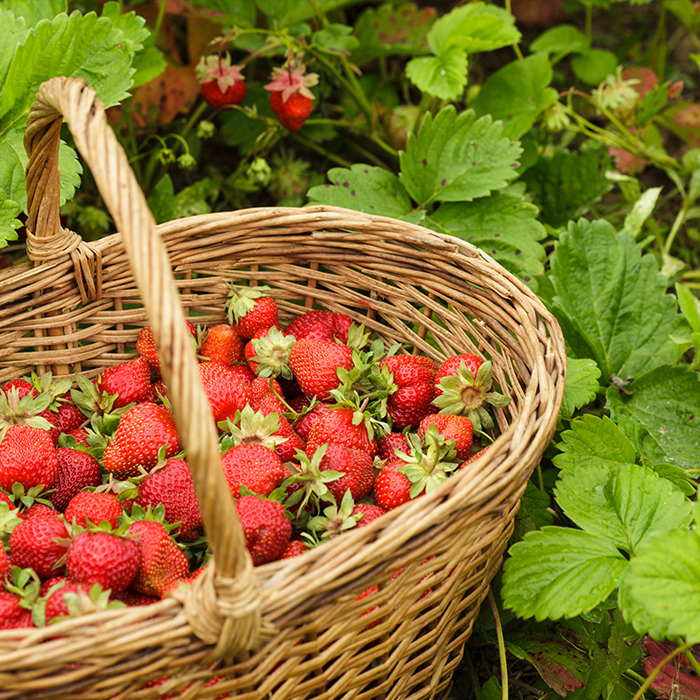 Ever-bearing strawberries produce a crop in early summer and continues to bear fruit sporadically until frost. Strawberries grow best in sunny spots with fertile, well-drained soil. In early spring, dig small holes every 24 inches in the rows. Keep the roots in water to avoid drying out during the planting process. Pinch off any blooms that form during the first growing season. 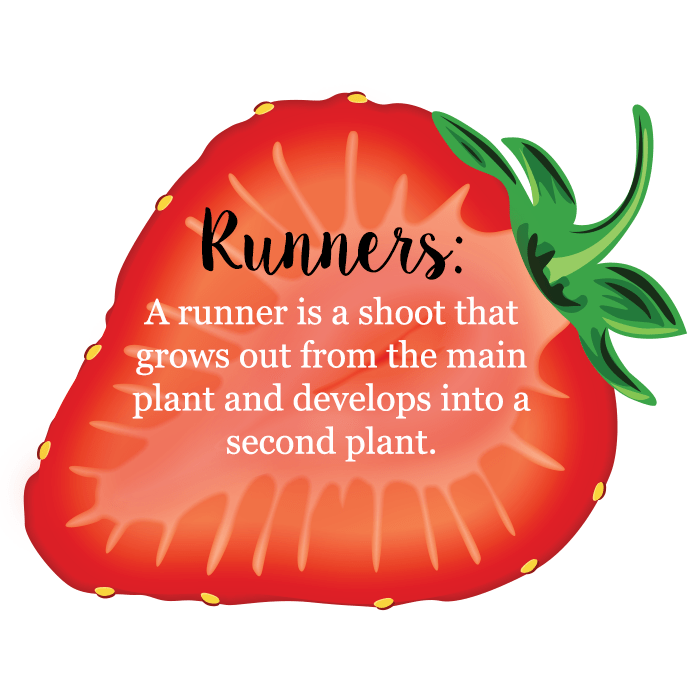 This will allow the plant to focus its energy on developing runners. This will create a thick, vigorous row of strawberry plants. Give the strawberries about 1-1/2 inches of water per week. It’s very important to keep your strawberry patch well weeded. Adding a generous layer of mulch will help control weeds and conserve moisture. Strawberries are loved by many—including birds. To protect the berries from feathered berry thieves, cover the plants with bird netting as soon as the berries start to form. Different types of strawberries ripen to different colors. The best test is to taste them and find out if they are sweet and juicy! 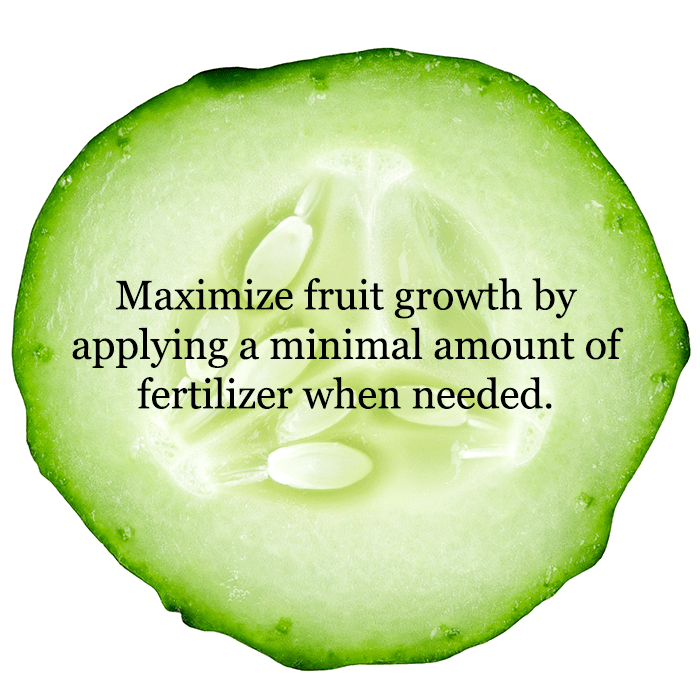 Cucumbers require full sun and a large amount of space in order to develop properly. They should be sowed directly in your garden instead of being transported. Always plant after the last frost because any freezing temperatures can kill your plants. 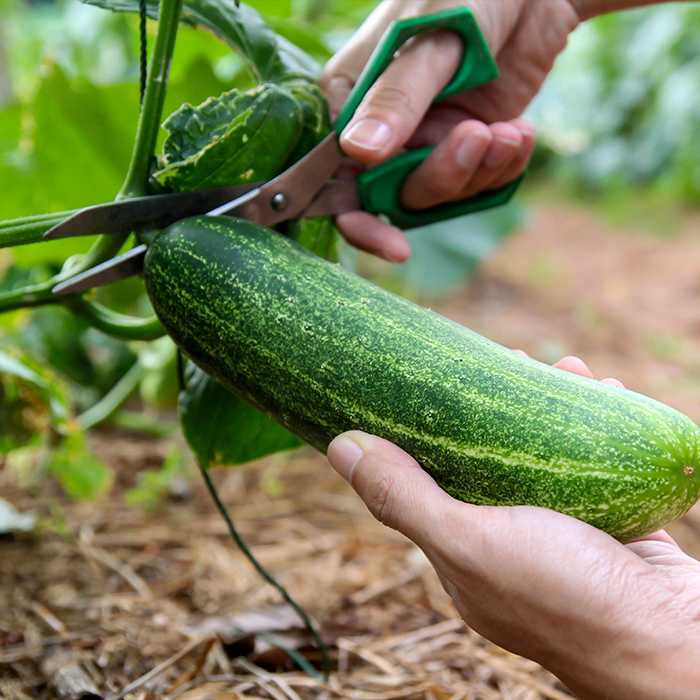 To ensure proper nutrition and produce strong plants with heavy yields, add a generous amount of organic compost to your soil before planting the cucumber seeds. A good way to reduce weeding and increase soil moisture is to apply some type of mulch to your garden. Try using at least 4 inches of wood chips or mulch. Because they grow very fast, keep a watchful eye on them. They should be harvested while still dark green. To harvest cucumbers, hold the fruit in one hand and snip the vine about half an inch above the fruit. What do you plan to plant this spring?